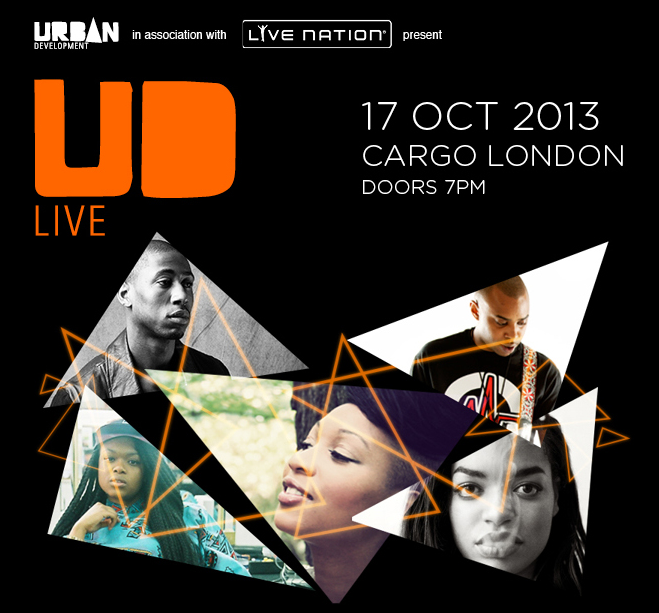 Having already hosted the likes of G FrSH, Misha B, Krept & Konan and Amplify Dot, Urban Development and Live Nation are back with the fifth installment of their live music showcase UD Live. Taking place at Cargo in Shoreditch on Thursday, October 17, the showcase will be hosted by R&B/Soul veteran Terri Walker who will also be offering up a special guest performance on the night. Joining her on the performance stage are some of the brightest new artists of 2013 including Phoenix Martin, Aidan Coker and Max Marshall. Tickets for the show are £5 online and £10 on the door and you can purchase your tickets via either Fatsoma or the Urban Development box office.